JDSU renamed Viavi Solutions – It’s Network Enablement (“NE”), Service Enablement (“SE”) and Optical Security and Performance Products (“OSP”) businesses have been renamed Viavi Solutions and will commence trading on NASDAQ Stock Market under ticker symbol VIAV on August 4, 2015. 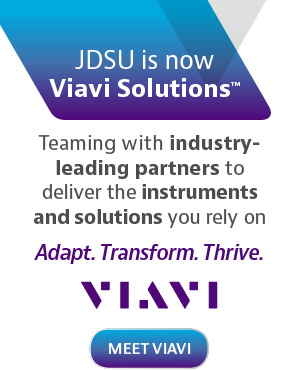 Viavi Solutions Inc. (“Viavi”), formerly JDSU, announced the completion of the spinoff of its Communications and Commercial Optical Product business segment (“CCOP”) on August 1, 2015. With the spinoff complete, JDSU’s Network Enablement (“NE”), Service Enablement (“SE”) and Optical Security and Performance Products (“OSP”) businesses were renamed Viavi. Viavi will commence “regular-way” trading on the NASDAQ Stock Market on August 4, 2015 under the ticker symbol VIAV. The JDSU ticker symbol will be retired from trading at the close of market today, August 3, 2015.